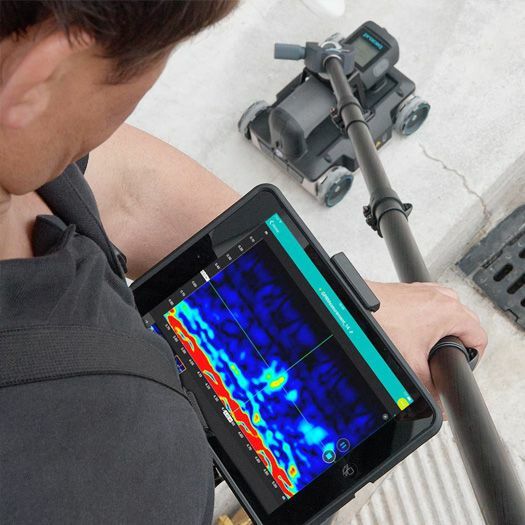 Proceq GPR Live – The Most Innovative Ultra Wideband Portable GPR for Concrete Scanning. 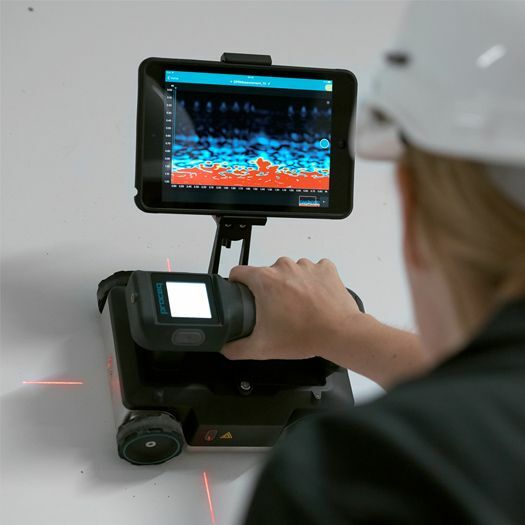 Proceq GPR Live is the latest offering from Proceq Switzerland, world leader in NDT & marks the beginning of a new era in NDT test instruments for concrete. 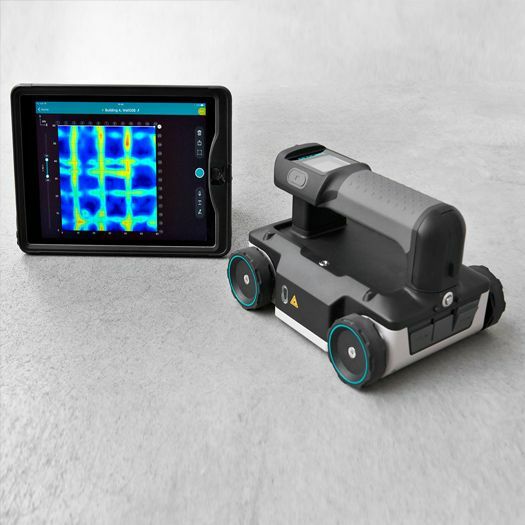 Proceq GPR Live is designed to provide outstanding structural building assessment based on a compact wireless 4 wheel car to perform structural imaging of rebar. 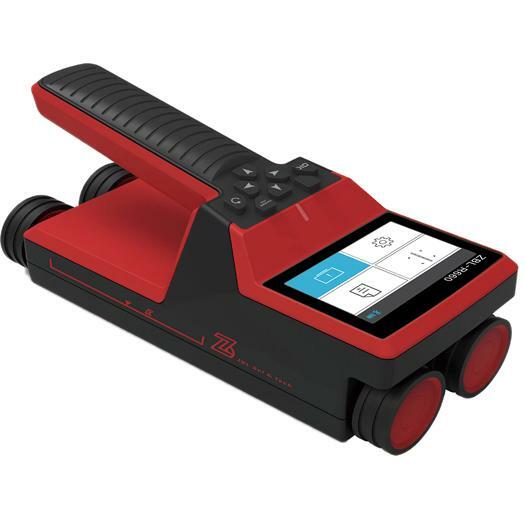 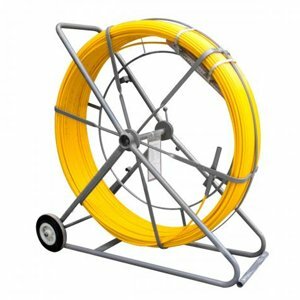 The New Proceq GPR Live comes with the unique stepped frequency continuous-wave(SFCW) technology delivering the widest frequency spectrum covering all application typically addressed otherwise with multiple separate antennas in the range of 0.9 to 3.5 GHz which is now be covered with a single antenna. 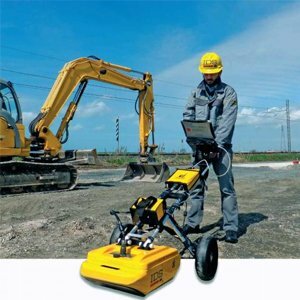 Proceq GPR Live provide superior measuring modes such as line scan & area scan to conduct rebar detection or establish rebar grids in concrete to provide highly accurate & reliable data. 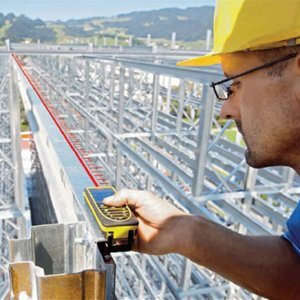 Proceq GPR Live Pro : For engineering consultants and structural inspectors to tackle all concrete imaging jobs of rebar in structures where more on site analysis & intuitive reporting is desired with sophisticated 3D time slice control for object & positioning data visualization features. 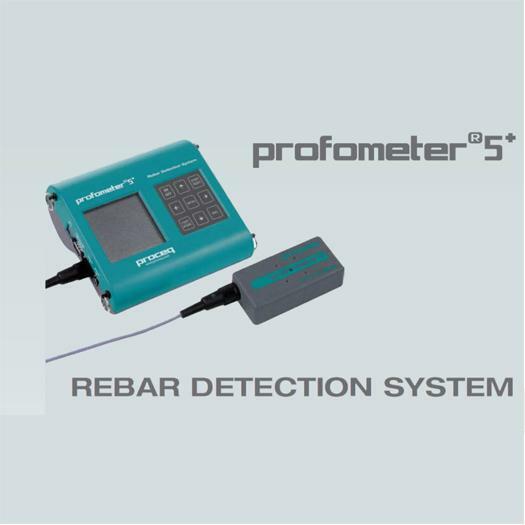 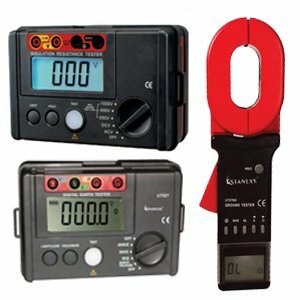 AASHTO R 37-04, ACI 228.2R.98, ASTM D4748−10, ASTM D6087−08, ASTM D6432−11, EN 302066 - ETSI.